In November 1976, someone killed Dallas Police Officer Robert W. Wood. Randall Adams went to jail for the crime. 1988’s documentary The Thin Blue Line examines whether or not the authorities imprisoned the right person. The film shows how Officer Wood got killed during a routine traffic stop and then follow the investigation of the crime. We learn about teenager David Harris, a delinquent who confesses to the murder but who later retracts this claim. On the day in question, Harris stole a neighbor’s car and gave Adams a ride. They hung out for a while, drank booze/smoked some pot and saw a drive-in movie. Harris tells authorities that Adams killed Officer Wood and they believe him. Line attempts to unravel the truth. 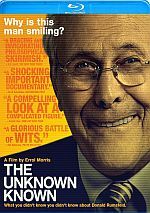 Directed by Errol Morris, Line examines the case via a number of methods. As expected, we find a mix of interviews. These give us comments from Adams, Harris, attorneys Edith James and Dennis White, witnesses RL and Emily Miller and Michael Randell, judge Don Metcalfe, detectives Jackie Johnson, Marshall Touchton and Sam Kittrell, Internal Affairs investigator Dale Holt, Harris’s friends Hootie Nelson, Dennis Johnson, and Floyd Jackson, gas station employee Elba Carr and appellate attorney Melvyn Carson Bruder. Line also delivers dramatic re-enactments. This means we can see representations of the murder as well as connected events. Those re-enactments become arguably the weakest aspect of Line, mostly due to the over-dramatic manner in which Morris stages them. I think I get the point, as I believe Morris wanted to show the impressionistic ways memories change and how viewpoints alter our perceptions of reality, but even so, the re-enactments lend a “TV movie” feel to the proceedings. These segments tend to be so overacted and cheesy that they distract from the movie’s point. Some of Morris’s other filmmaking choices cause problems. For one, I find it irritating that he never offers on-screen credits for the various interview subjects. Sure, we can figure out their roles/involvement via context, but I think it makes more sense to simply tell us who they are. If it takes me some time to figure out a person’s identity, that means I lose my focus on the material itself – why create an unnecessary distraction for the viewer? Morris also overuses slow-motion and other showy visual techniques throughout Line. Like the re-enactments, these choices give off a semi-cheesy vibe and take away from the core material itself. 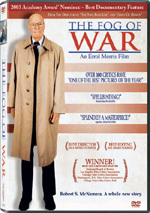 Morris boasts excellent documentary subjects and information, but he doesn’t seem confident that the viewers will stick with the film if he doesn’t create a supposedly dynamic visual presence. Again, this becomes a disappointment, as the story being told offers more than enough merit to occupy the audience. Line maintains part of its legend because it prompted Adams’ release from jail. Morris examines the case in a satisfying manner and brings it out in a logical way as well. Except for the distractions from his visual choices, that is. Morris works well as a detective, and he explores Adams’ case in a solid manner. He also manages social criticism, as he strongly implies Adams went to jail instead of Harris solely because the older man could be subject to the death penalty. Unfortunately, Morris doesn’t present the information all that well in terms of filmmaking techniques. Line remains worth a look, as even with its flaws, it still offers an engaging story. I just wish Morris had trusted his material more and relied on visual gimmicks less. The Thin Blue Line appears in an aspect ratio of approximately 1.78:1 on this Blu-ray Disc. Given its origins and age, this became a reasonably positive presentation. Sharpness usually seemed pretty good, as most of the movie appeared acceptably distinct and well defined. A moderate number of shots looked a little soft and fuzzy, but these issues never became severe. Jagged edges and moiré effects demonstrated no concerns, and I also witnessed no signs of edge enhancement. Print flaws remained minor and created no real concerns. Colors looked decent for the most part, though they also could seem fairly bland at times. Some exterior shots displayed quite solid hues, but most of the film appeared mediocre in regard to color reproduction. The tones looked a little heavy and messy at times. Black levels also came across as somewhat flat and muddy, and shadow detail seemed somewhat thick and heavy. Both appeared more than adequate for a production from this era with this sort of budget. Nothing here excelled, but the visuals were perfectly acceptable. Similar thoughts related to the DTS-HD MA 2.0 soundtrack of Hearts and Minds. A dialogue-heavy piece, speech appeared a little thin but always came across as acceptably distinct and defined, with no noticeable issues related to intelligibility or edginess. Music appeared relatively bright and distinct, while effects were fairly clear and accurate. A chatty movie, the soundfield didn’t do a lot. Music broadened around the spectrum but it didn’t show great stereo presence. Instead, the score used the speakers in a semi-general manner; it filled the channels but not in a distinctive manner. Effects worked about the same, as they occasionally worked from the side and rear speakers but not in an especially engaging way. This was an acceptable track given the movie’s age and focus. When we head to the set’s extras, we find an interview with director Errol Morris. In this 40-minute, 52-second chat, Morris discusses the project’s roots and development, how he found the Adams case and interactions with the subjects, interpreting events and the use of re-enactments, and retrospective thoughts about the film. Listening to the interview makes me wish Morris had recorded a full commentary for the film. Morris delivers a bunch of good details and seems blunt and insightful the whole time. This becomes a useful piece. Next comes an interview with documentary filmmaker Joshua Oppenheimer. He talks for 14 minutes, eight seconds about Thin Blue Line’s techniques as well as interpretation of its impact. While not as compelling as Morris’s chat, Oppenheimer offers some good notes. Finally, we get an excerpt from a March 22, 1989 Today Show. The piece lasts five minutes, 46 seconds and features Morris, ex-prisoner Randall Adams and attorney Randy Schaffer. No real substance emerges, but it’s an interesting historical footnote. A 12-page booklet concludes the package. It includes an essay from film professor Charles Musser along with credits. The booklet offers a nice complement to the rest of the set. 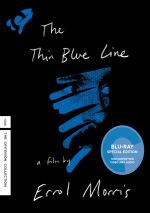 While The Thin Blue Line remains a seminal documentary, I can’t say it did a lot for me. I think director Errol Morris’s later works seem more satisfying than this spotty examination of a murder. The Blu-ray presents acceptable picture and audio along with a decent package of bonus materials. Line deserves a look but I think it disappoints.